We've heard their ideas about the economy, taxes, health care and Iraq. Somehow the presidential candidates' views on corrections hasn't made the spotlight yet, even though the field faces budget cuts, overcrowding and hard times ahead. So, this week Corrections.com reporter, Ann Coppola, provides an in-depth look at where Obama and McCain stand on a pivotal facet of the criminal justice system. Can’t you just taste it? Election Day is a mere thirteen days away. 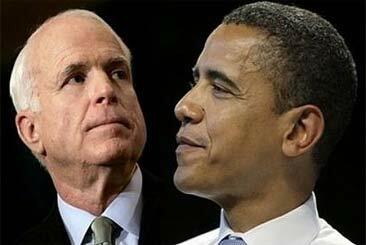 All of the debates, Veepstakes, baby-kissing, and endorsement fishing aside, Senators Barack Obama and John McCain are about to face the biggest moment of their strikingly different lives. And the campaigns are bracing for what promises to be a brutally fast-paced and sleepless race to the finish. It might be two-weeks of crunch time for Democrats and Republicans, but the United States corrections system has been running a race of its own for decades. Most of the public was shocked when it learned earlier this year that for the first time in history, one in 100 American adults is under some form of correctional supervision. State budgets are in crisis, and departments of correction are often targeted for cutbacks during rough economic times. Read this week's full story. I really relate to the piece you wrote about your career. I too have been writing justice articles, or attempting to secure justice articles on your website and other justice or national and international publications for almost 13 years. Rhode Island Department of Corrections Director, A.T. Wall, II, has promoted Arthur Fillo to associate director of facilities and maintenance. Full story. 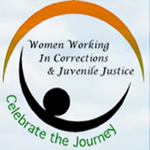 The 2008 Women Working in Corrections and Juvenile Justice National Conference will be held October 26 to 29 at the Marriott Hotel in Des Moines, Iowa. Dr. Marilyn Van Dieten, along with colleagues from the field, will deliver a day long work shop on "Merging Evidence-Based Practices and Gender Responsive Research: An Innovative Case Management Model." - Franklin D. Roosevelt, (1882 - 1945) 32nd U.S. President, U.S. Democratic politician, New York Gov.